This week I was interviewed by a publication about Entrepreneurial Women in Business. What I think I liked most about the experience was that it forced me to consider the efforts that got me here in my career, how I stay focused, who the people are who’ve encouraged me as I built my business. But the best question was which characteristics make me unique and successful. Contemplating that question, I realized both humility and hustle have guided my success. I wasn’t always in work-hustle mode. 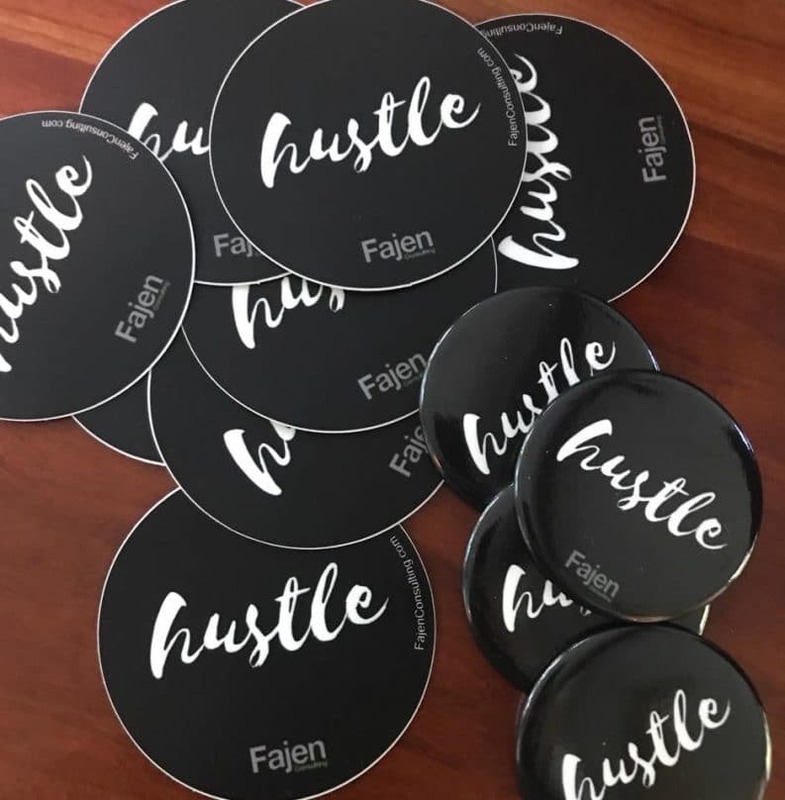 There were years of “chasing twins” hustle and “volunteer” hustle, yet in the last decade, as my marketing business shifted into a higher RPM, I’ve become acutely aware of what “hustle” means to me and to my work. Taking an introspective glance in the mirror, it’s clear that for me hustle is less about running myself ragged or worrying about the competition. Hustle means understanding my weaknesses and driving right through the center of them because my focus is on the prize. If I’m honest, I must admit my brain isn’t always wired for the hustle. I can easily get distracted. When you are an entrepreneur, you take on more roles (accounting, project management, business development and oh, yes there it is…marketing director). So, I need to be more disciplined and strategic in how I work. In my world that means checklists and organization – without them, I’m so random in completing tasks. 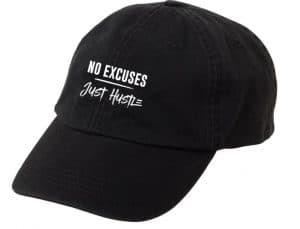 And hustle is about self-discipline and a zero-tolerance for excuses. Whatever you harbor from the past has to stay there if you’re going to work smarter, learn more, meet more people and achieve success. It requires a total attitude change for sure. But if you allow them in, excuses will derail your dreams and limit your potential and your happiness. Consequently, I truly love my work, I love the clients, I love the networking and the strategy. It’s what gets me up in the morning. When I see the challenges of our clients, I’m euphoric in moving them through a strategic solution. 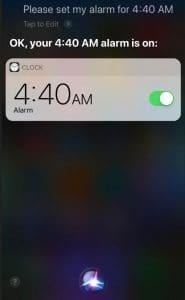 But to achieve that means I have to be driven and optimize every minute of my day. It doesn’t have to make you crazy, you simply need to leave excuses in the rear-view mirror and focus on a plan. The order to my day keeps me efficient and on pace. I schedule time for working out, research, head-down, bust-out work time, making customer touch points, prospecting, and of course, time for those I love. It’s not a perfect science, but when it’s well-oiled, it drives stellar results. I never consider our misfires a fail. Failure means you are unsuccessful and I try hard to never let that crap get in my head. It’s only when we stop pushing ourselves in new directions, that we fail. Even when we don’t win a piece of business, we still win. In those would-be defeating moments, the optimist’s blood starts pumping stronger in my veins. As entrepreneurs, we need to be careful to recognize there is a distinct difference between optimism and arrogance. And that tipping point between the two is humility. We don’t know it all. That’s why we hire genius people to work with us. We don’t expect to win every proposal. But we’re hungry to learn why we didn’t and make adaptations, try new things. Our success isn’t about me. I’m so grateful for the talents of those I work with and am blessed to have them in my life, each one of them makes me better. Being honest with yourself by realizing you need others. Allowing the capable people on your team be the hero. Leading in a way that allows others’ to shine. These are attributes of leading humbly. 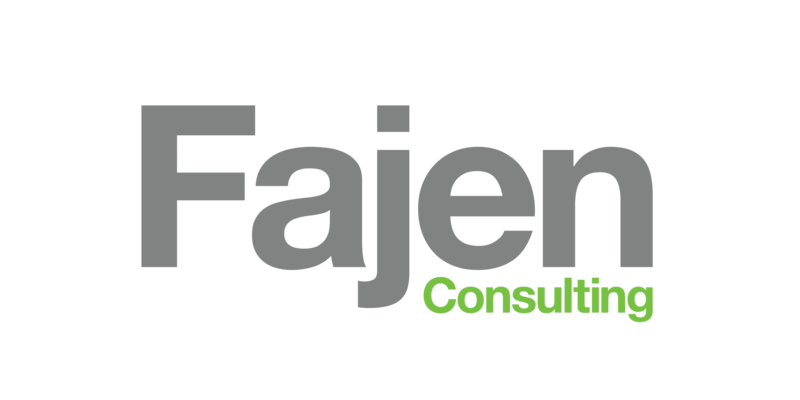 At Fajen Consulting, our team is smart, efficient, highly trained and creative. The energy is contagious! The final thought here is that your hustle must be powered by something. Maybe it’s to achieve a financial goal, prove something to yourself. For me, it’s powered by passion. Sharing our expertise in building brands, growing business through lead generation and thought leadership and reaching new heights through content and digital marketing are the ways we hustle to grow something bigger. So take time to understand your why…your passion. Dig into it and embrace a never-give-up, no-excuses attitude. 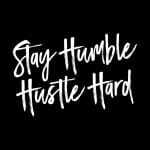 Work smart…be humble and hustle!